District 21 – June 2011 – Lincoln Nebraska A.A.
Out: park rental 80.00, 5.88 for hotdogs, rest was for copies 36.00. Treatment workshop: 1 week ago Saturday, Jennifer R. organized it. Speaker from bridging the gap spoke, the Area treatment committee chair spoke as well. Steve from Omaha spoke. It was a nice time, maybe 10 in attendance. Low attendance possibly due to competition for other events. District boundaries agenda item: Amy is under the gun, has to get it done STAT! She is getting it all done as fast as she can, will do maps and a draft version of an agenda item. Guidelines for agenda items are now available. Suggestion has been made to break it up into more than one agenda item. Question: Is the Ad Hoc committee still helping on this. Amy will check into this. Update on Unity picnic under old business. Sufficient Substitute (Sam R.): The picnic was a blast, a good time was had by all. Attendance has remained steady, a new flyer was made as some changes have been made. Flyers are still being put out for at least another 3 months. Rural area, they do try to target people who may not know they are there and the flyer helps. New Alt: Kari F.
Young People’s (Jeremy E): New GSR in attendance. They have attendance of 30-40+. New Alt GSR is Zach L. The group now has a bank account. Cafeteria Group (Tom B. ): Same, good, attendance up slightly. He thinks it’s the round tables. Constant need for speakers. Sunday at 8:00PM Bryan LGH West. Spiritual Actions (Jay subbed for Emily): Doing fine, quarterly business meeting is June 30th, speaker to be announced. Seeking Solutions (Becky R. for Jon R.): Starting to form an inventory committee. Group is doing well. Possible subjects for inventory may include incorporating a timer, new burning desire guidelines, and/or changing to an open meeting. Attendance is somewhere in the 90 to 100 range. They offer babysitting which is still self supported by separate donation. Not sure if the inventory will be at the fullgroup or at the business meeting. The Steps We Take (Linda S.): The group has moved to 1610 S. 11th in the upstairs room. Doing the same. Nothing new. Liking the new location. There are no big tables, but there are couches. 1. District boundaries/Adhoc committee. Amy is working on this. 2. Unity Picnic will be August 13th -1:00 – 4:00 PM Van Dorn Park. We have a $150 budget. Proof read the announcement. Young Peoples asked if they wanted to send a speaker to the event. Amy researched parks and enclosed shelters prices. Decided on Van Dorn because it was the least expensive ($80.00) and in a good location. The rental fee has been paid. There is an additional deposit ($40) required to get key, and check is returned as long as there is no damage. We have a budget of $150. Deposit: ( not included as it will be refunded ) may need to increase budget for this Sam and Bob will bring gas grills. Suggestion of passing the hat at the picnic to be taken to the groups for a group conscience. There were comments that groups donate to district, so there should be no hat passing. Deposit: Motion to increase the budget by $50.00 for deposit, and that any portion of that deposit that is returned go back into the district account. Discussion: Jay mentioned that this will bring our balance after prudent reserve to $13.00 without taking into consideration item number 4. Pat: At times people who have gone to area have waited. Motion passed 4 to 2. No minority voice. 3. Open positions, alt-DCM. Any GSR that is interested should ask their groups if the alt. GSR can take over so they can run for Alt. DCM. According to the General Service manual the requirements for DCM are: 4 or 5 years of sobriety minimum. Usually has served as GSR. Michael F has said he will stand for this position but really loves being the secretary. Michael F does not have experience as a GSR, however. 4. District 21 manning Coffee booth for Sept., 2011 Area 41 Assembly. Michael F., Bob M., Kari F., and Lori G. will be our volunteers. One night hotel and gas will be provided to Michael and Bob. Kari and Lori already have rooms. 5. 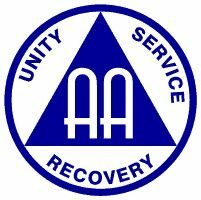 Discuss the structure of AA in Lincoln with focus on intergroup to best serve the area. Don’t feel like discussing at this meeting. May discuss later. 1. Voting items: read through the items and GSRs will take back to groups.